A perfect secretary who remembers all of your schedules and routine. Just the perfect employee who has dedicated her career to being the most important person in your life as a vice chairman of a grand corporation. If you could just imagine yourself as this vice chairman who relies on his secretary as much as his right hand, who would be able to live without such a highly capable secretary? Kim Mi-So is just the perfect secretary for Lee Sung-Hyun who’s an heir to a large corporation. She knows everything about Lee Sung-Hyun when it comes to his routine. As an excellent secretary, she books and reminds the vice chairman of his schedules very well. She worked non-stop for her boss, until one day, everything turned around as Kim Mi-So decided to quit. That was when Lee Sung-Hyun asked himself – What’s Wrong with Secretary Kim? 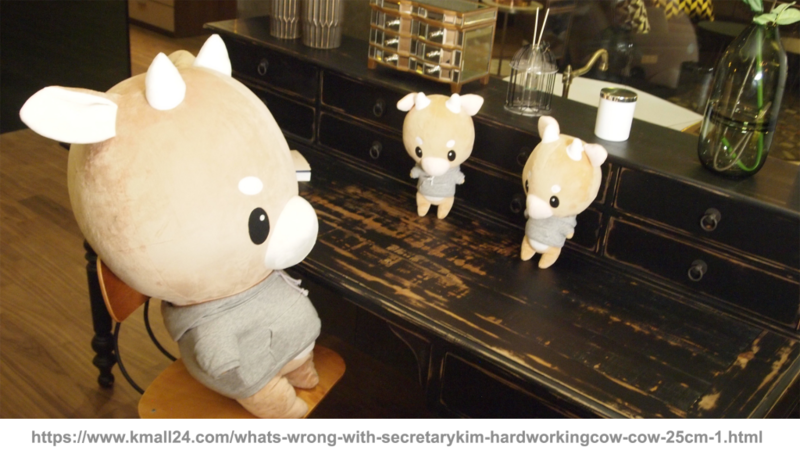 Chain of events have followed as to how the Hardworking Cow plush was given to Kim Mi-So though it was obvious that the plush is a reward to her for being the most diligent secretary she has become. However, bootleggers are the complete opposite of Secretary Kim. They’d effortlessly steal ideas and designs just to make a few dirty cash. Sadly, the Hardworking Cow plush could not escape from these lazy lot. Unfortunately, K-drama plushes get bootlegged once they appear on popular dramas. It’s really disappointing and at the same time, horrifying because you wouldn’t expect one delivered at your doorstep if you’re not careful. It doesn’t matter if you find it from AliExpress or any other shady shopping websites alike. 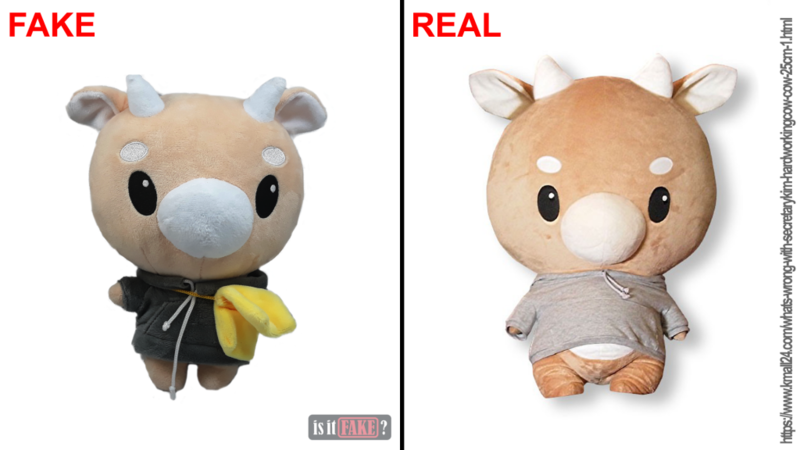 If it’s a fake plush, it will definitely be deformed, or stuffed with inferior materials. 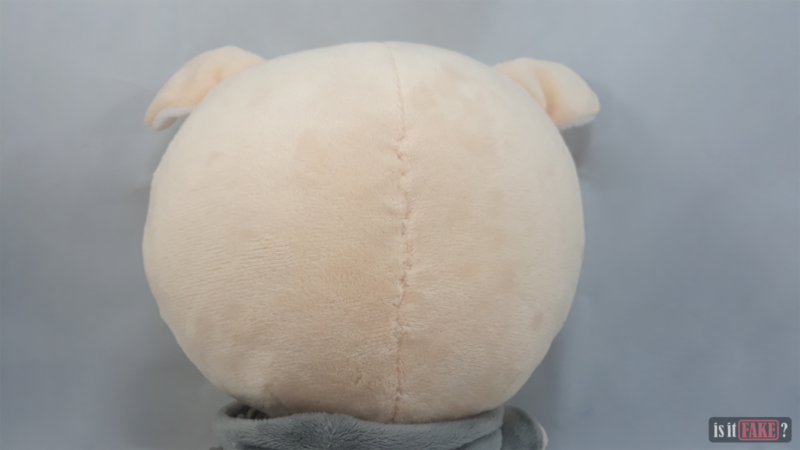 Though, you’d be more suspicious whenever you’d come across a vendor like Feifei Toy who would trick buyers by posting pictures of the real plush, or scenes from the K-drama itself. 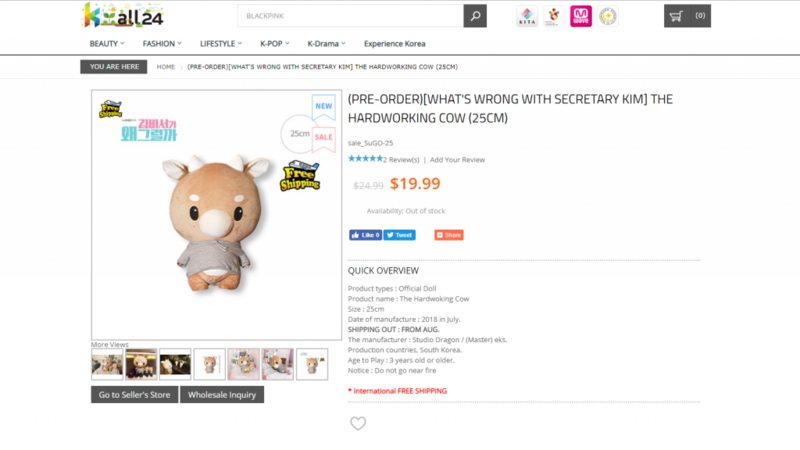 Nonetheless, the fake Hardworking Cow plush based from the K-drama What’s Wrong with Secretary Kim is one of those plushes you should avoid. Let’s go through this fake item, shall we? The fake Hardworking Cow plush arrived in a thin, worn-out plastic. 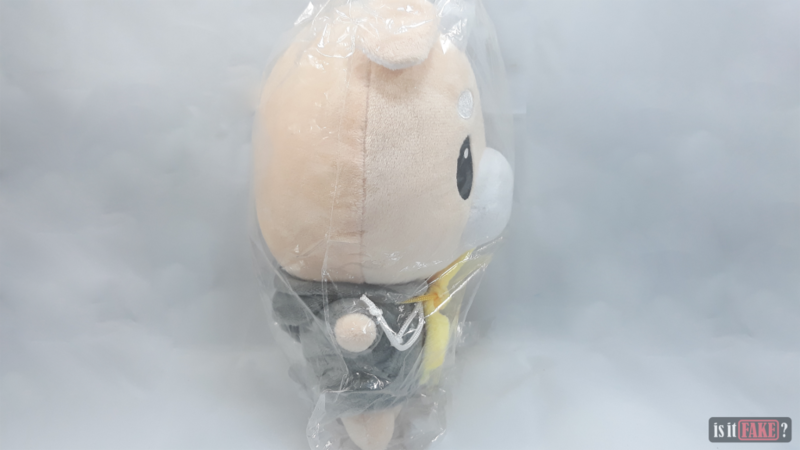 This could already set the red flag especially because stuffed toys are fragile and prone to tearing when shipped with sharp objects. 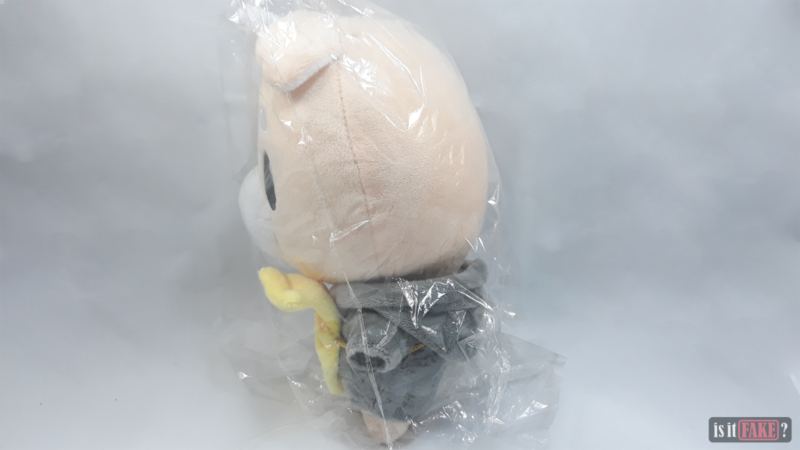 They should at least be bubble-wrapped but mostly it is at the seller’s discretion, and obviously, Feifei Toy didn’t handle that well. 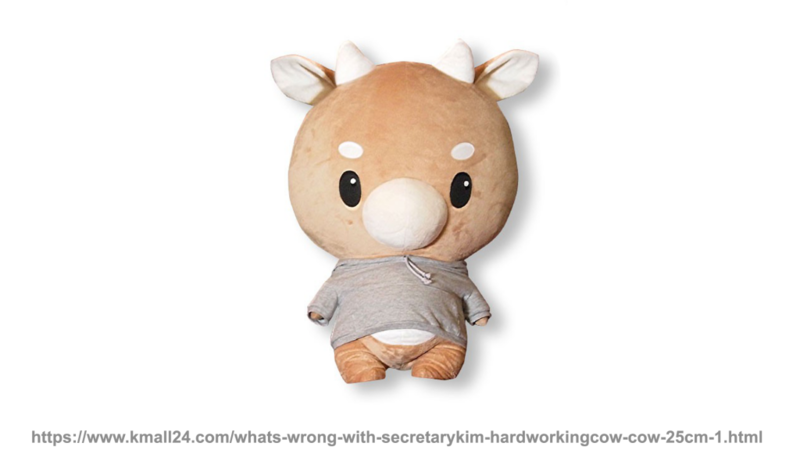 As far as the official Hardworking Cow plush goes, the sizes are either 25cm or 90cm, the latter being the one given to Kim Mi-So as it almost fits half of her bed. 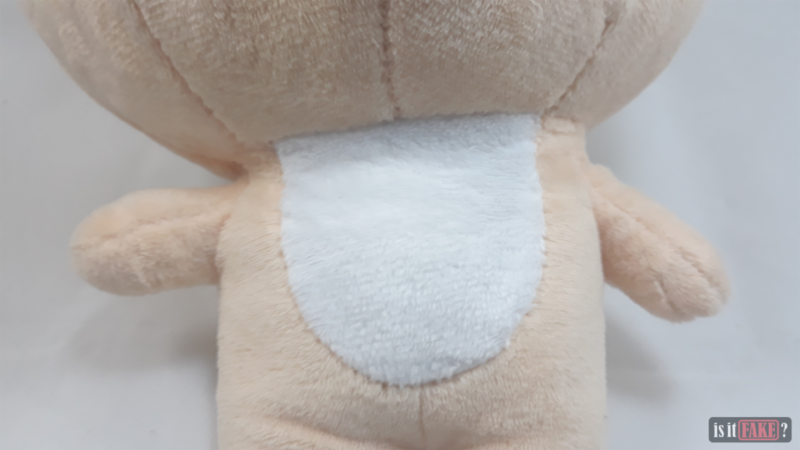 With regards to the fake plush that we have, it seems that it tries to match itself to the smaller one. 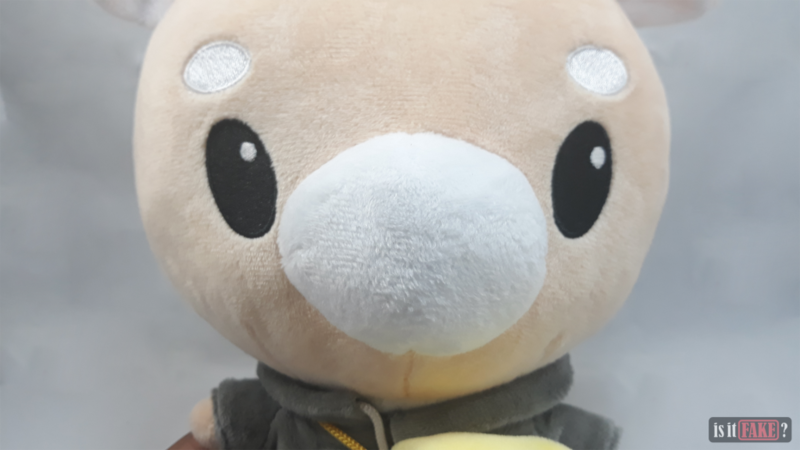 Although, it looks like there are several flaws worthy of your eagle-eye senses, and I bet you’d feel awful for thinking about adoring the fake plush in disguise. 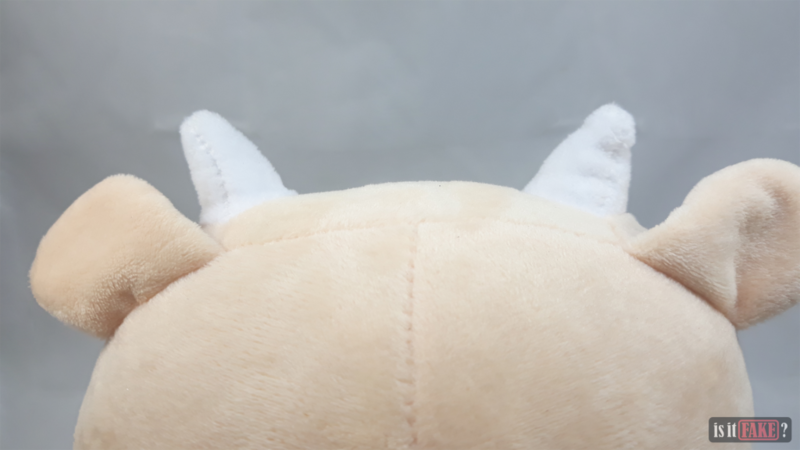 First off, let’s give you a glimpse of the real Hardworking Cow plush. Hopefully, you’ve gotten a good look at its color and shape. Now that you’ve got a bit of reference, you might still think that everything looks fine, and we don’t blame you. 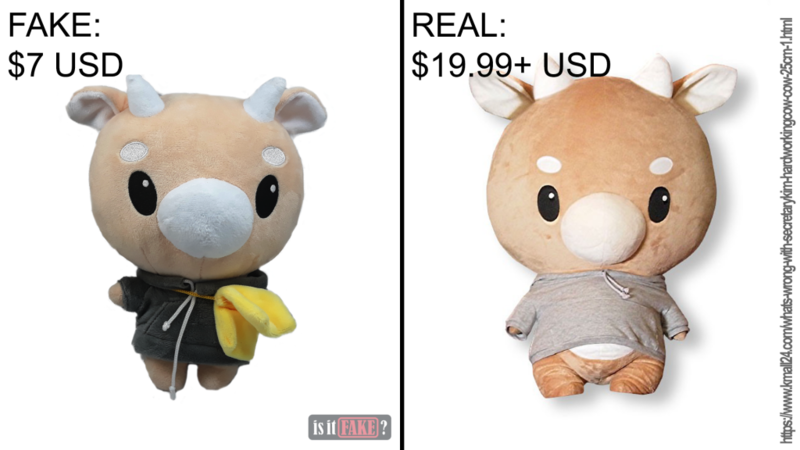 It’s mostly because many shady stores online are using pictures from the actual drama to trick you from buying their fake plush. 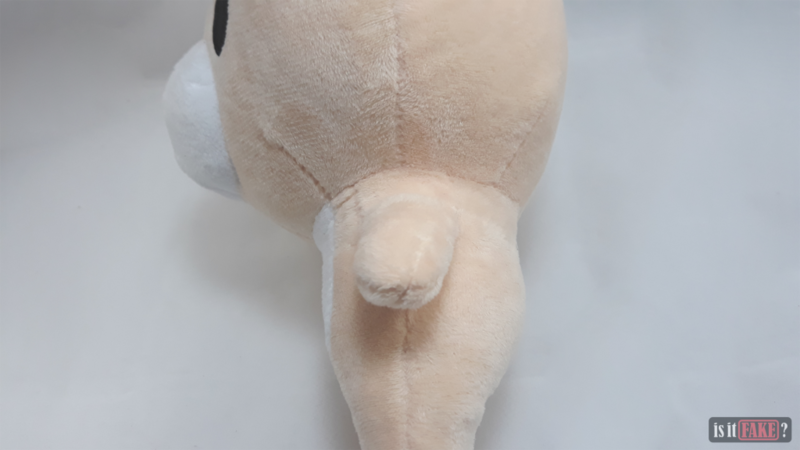 If you haven’t noticed it yet, the fake Hardworking Cow plush’s head just bulges too horizontally. It’s as if the plush lost its posture. It also doesn’t look as stuffy as the real one. 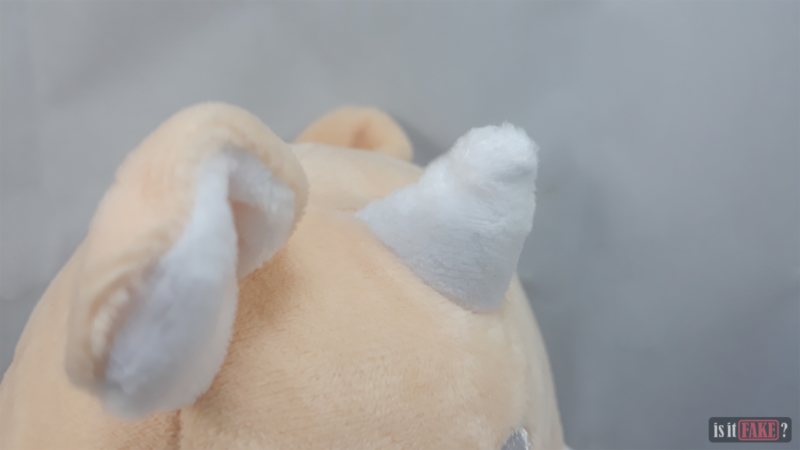 With a thorough observation of its nose, you’ll see that it breaks the symmetry of the whole plush as it looks deformed and could have used more of the stuff and fluff in it. While that doesn’t bother you yet, you might want to get a good look on its horns which goes to the opposite sides. 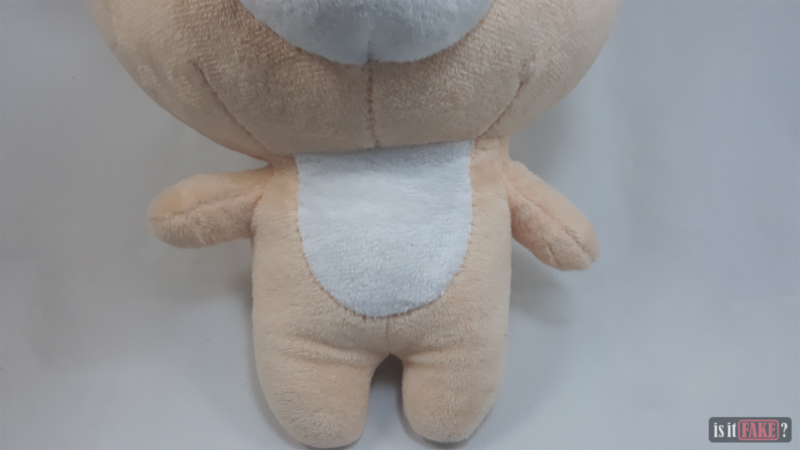 Now, who would even call this fake plush cute? Can you still follow? Because there are a lot more flaws with this fake Hardworking Cow plush. 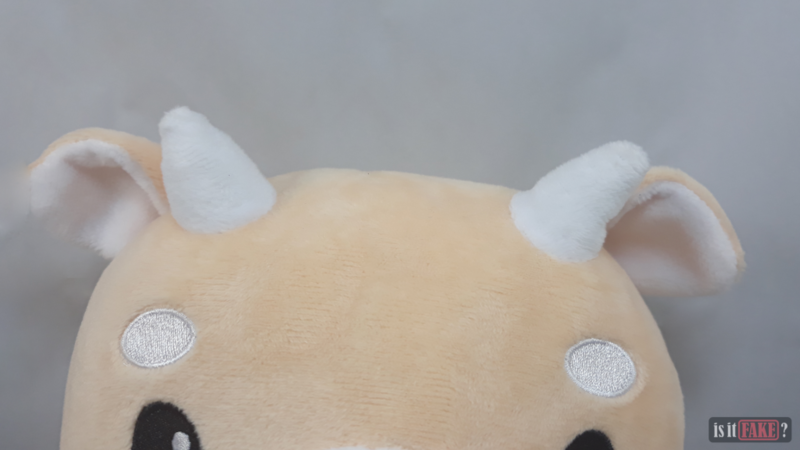 It might be hard to notice without a reference, but if you look closely at its ears, they’re leaning a bit lower than the real Hardworking Cow plush. It’s because its whole head is out of posture as we’ve mentioned earlier. And surprisingly, we were able to remove its jacket, and an awful lot more defects are seen. 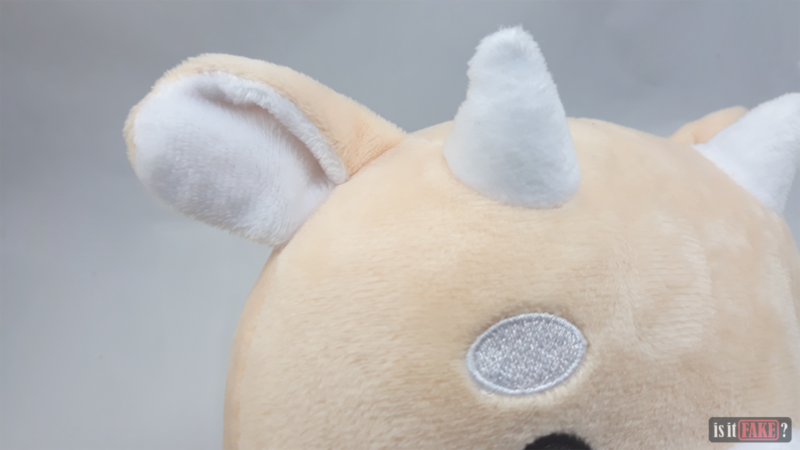 For one, durable plushes are made out of superior raw materials and they undergo a thorough quality check. 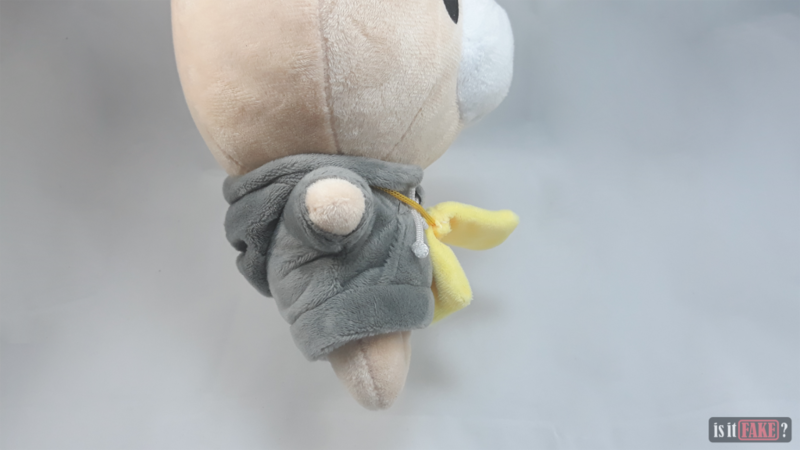 Most of these plushes would have proper stitching that balances the whole plush out. 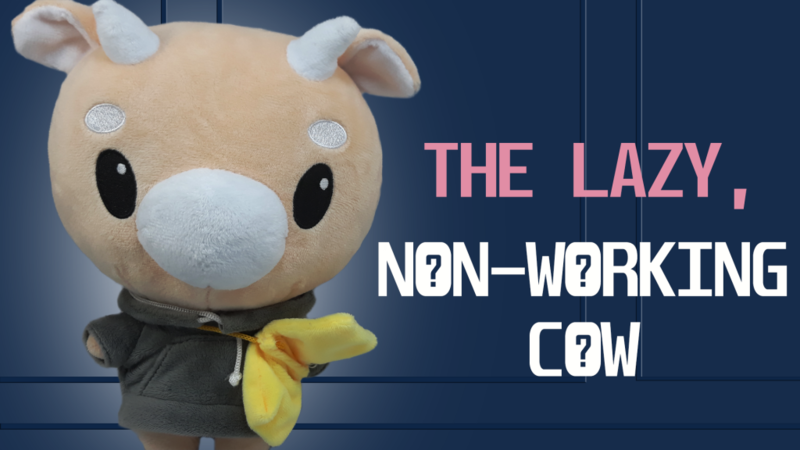 If you’re into limited edition plushes, especially, like the real Hardworking Cow plush, then you’d want the plush to be long-lasting. Sadly, for the fake Hardworking Cow plush, it looks like it’ll break down anytime soon. We’d like to first point out how out of shape its body stripe is. The curve just doesn’t meet the other side that well. Looking at the stitching, there’s an awful work of an amateur on its back. 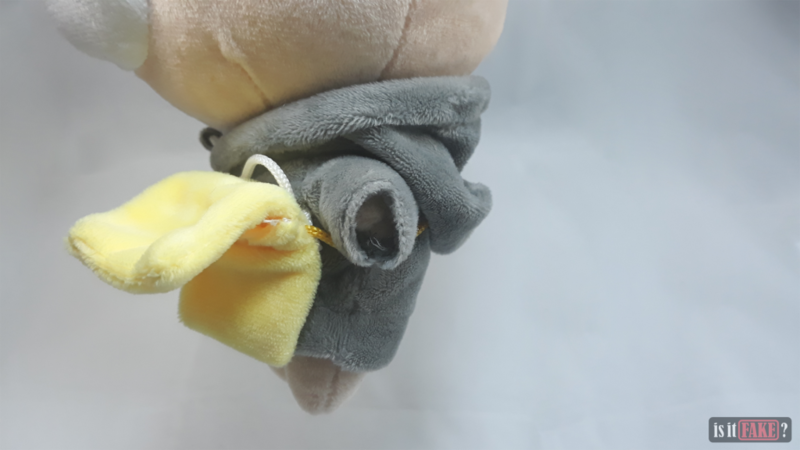 There are also a lot of thread that are hardly holding the plush together, and most probably, this fake plush would not even last that long especially with the tear on the left side of its neck. 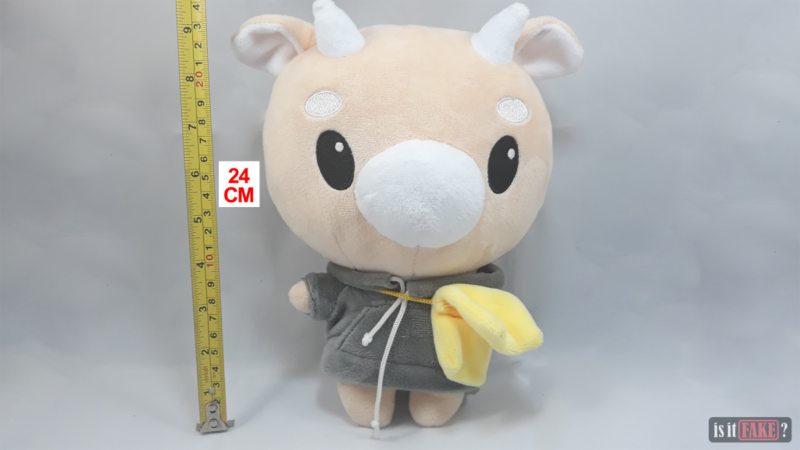 With all of the lack of proportion aside, the fake Hardworking Cow plush looks like it’s made from cotton, and will probably be popping full of it once everything tears out. 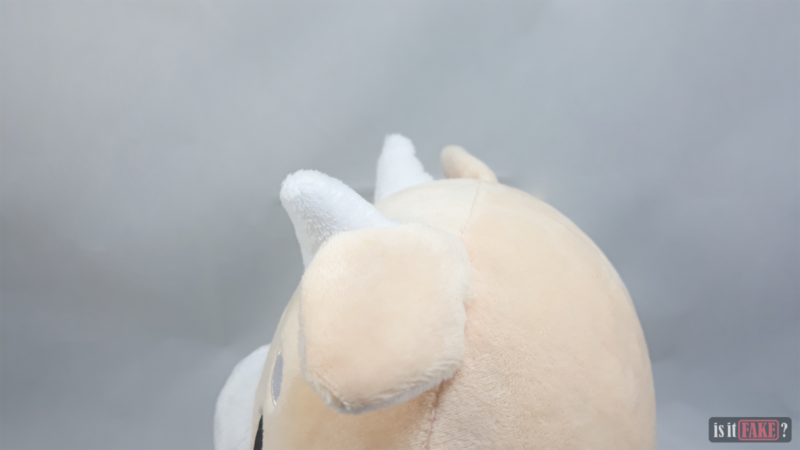 By that time, you’ll realize that you should’ve just settled with the real Hardworking Cow plush that supports the drama, and the dedicated studio that made it, Studio Dragon. As someone who loved What’s Wrong with Secretary Kim, it’s fulfilling to contribute to the drama by buying the official merchandise. The real Hardworking Cow plush is just as affordable as buying a brand new shirt. 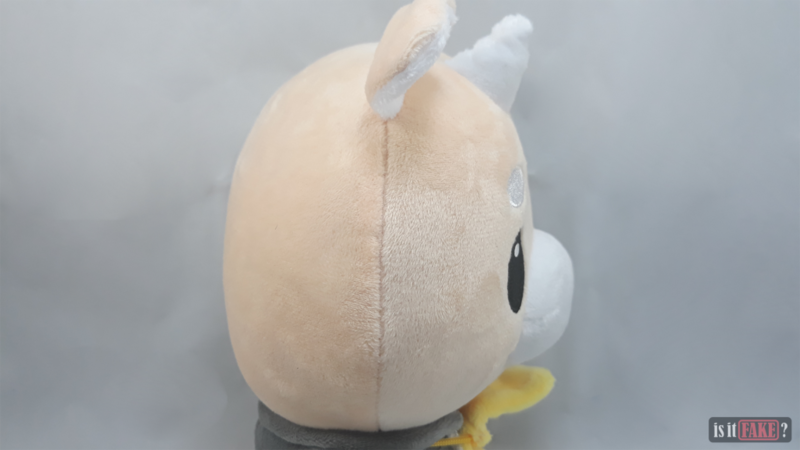 For a price of $25, you’d not only be supporting the drama but you’d also be sparing yourself the burden of a plush that’s already on its way to plush heaven. Who knows, you might even find the real plush on sale for $19.99. Though you might think that you’ll be saving yourself some cash if you’re going to buy the fake one, but then again, you’ll get what you pay for. 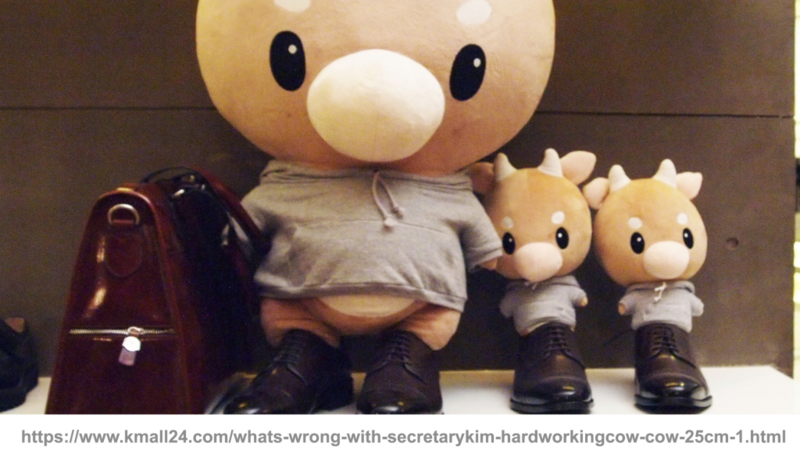 The most certain online shopping website to get the real Hardworking Cow plush from should be from Kmall24. As a website that’s fully run by the Korean International Trade Association, you’d be guaranteed and safe from bootlegs from this place as it’s totally under control and packed with quality Korean merchandise exports. 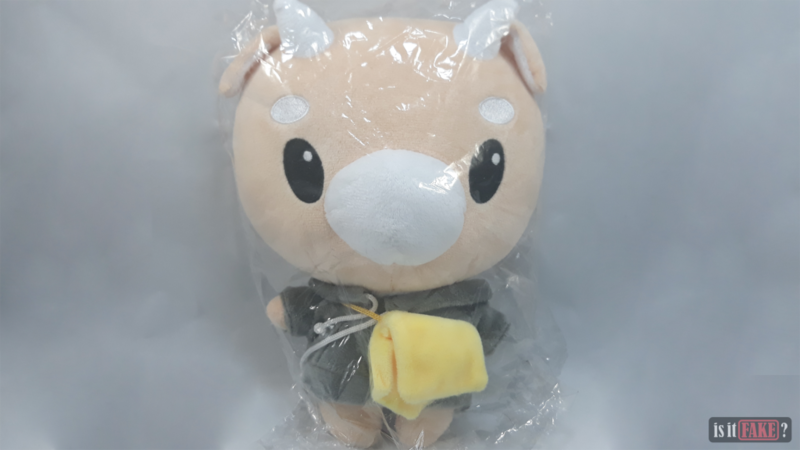 Sadly, the Hardworking Cow plush is already out of stock from the website as every pre-order already shipped out last August 2018. 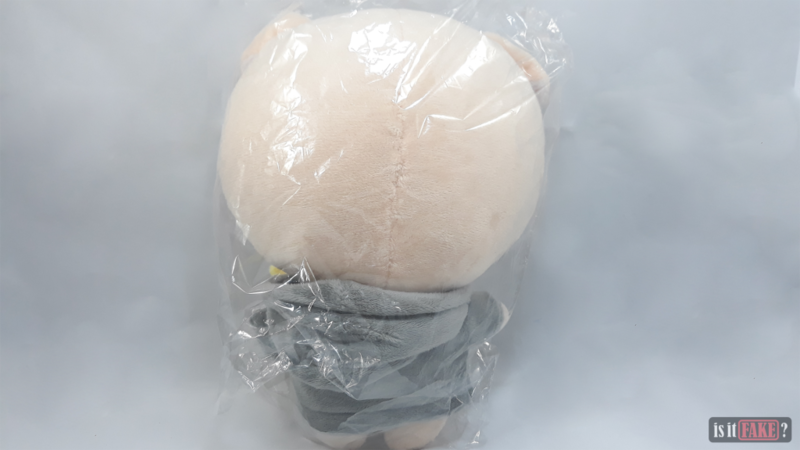 It’s completely understandable since the last episode of the drama aired last July 2018 so probably, the plush ran out of stock because of the influx of orders. 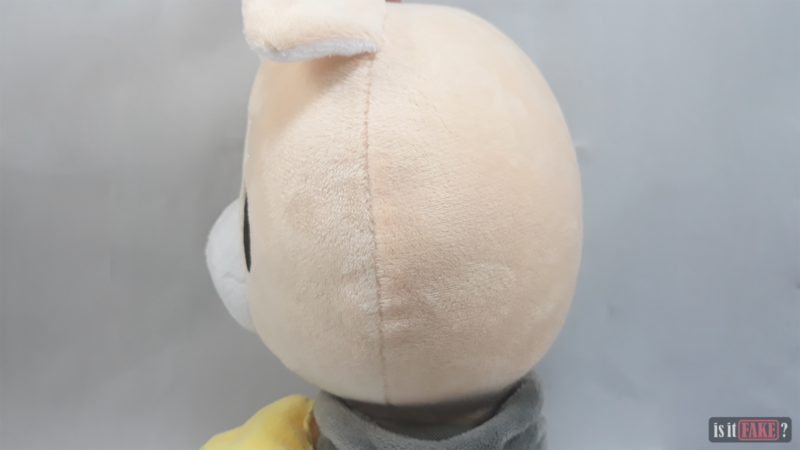 If you badly want the real plush, we suggest that you avoid searching for it on google as most likely, it’ll just be giving you results that are full of trickery. 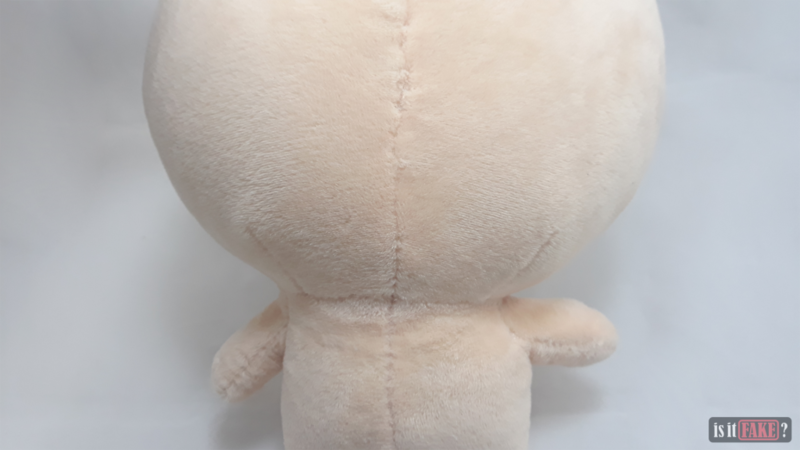 Hopefully, Kmall24 will have the cute plush back in stock, but if you’re going to might as well wait for stocks, you may want to try looking for it on either YesAsia or KpopTown. Although, it’s already been months since the show ended and there weren’t any signs of seeing the Hardworking Cow on those websites – but who knows. 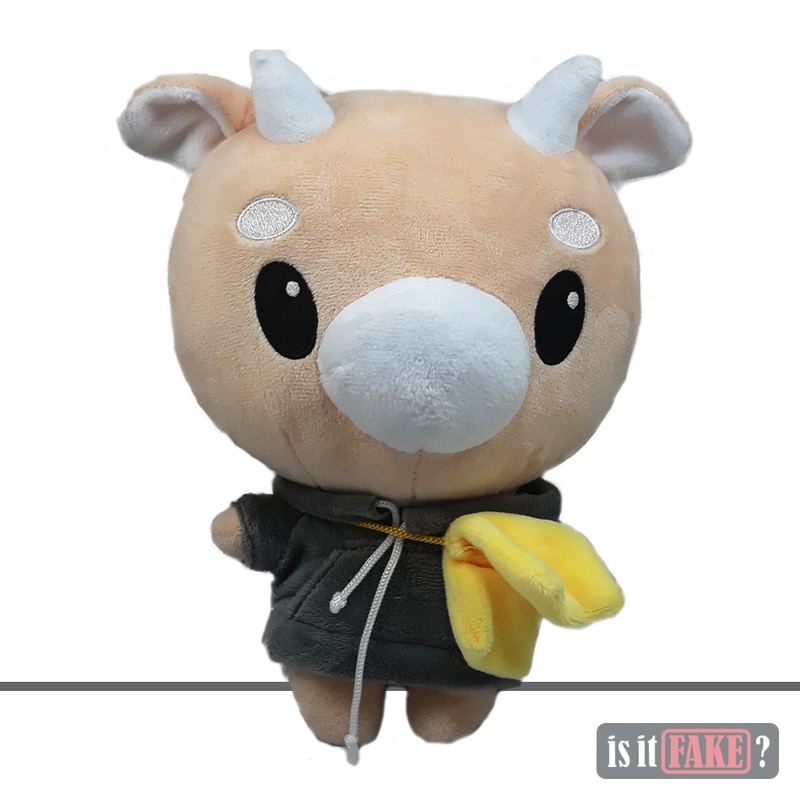 As a mere imitation of the Hardworking Cow plush, this fake plush is a clear insult to the drama. It’s obviously made by amateurs, and gold-digging opportunists. With its deformity, it could still hide itself and deceive the fans of the drama. 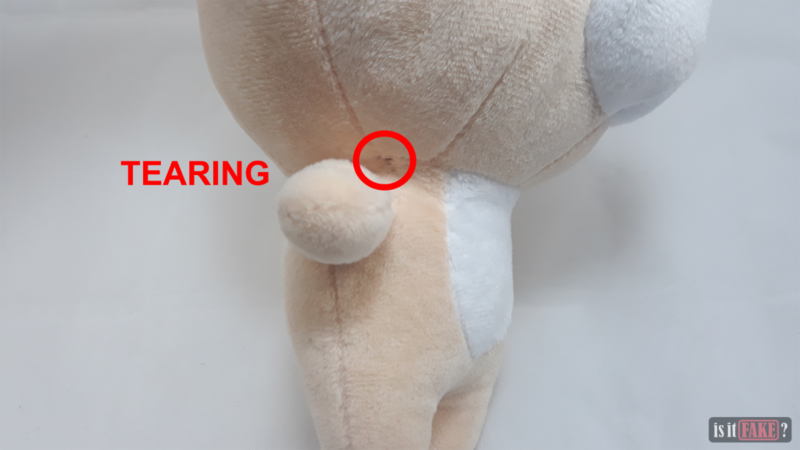 However, nothing can the fake plush hide from its careless stitching and its damages. You’d apparently be settling for a bomb of cotton if you already have this. It’s an unworthy plush that’s deserving a 70% terrible score – you have to give this fake plush a pass. 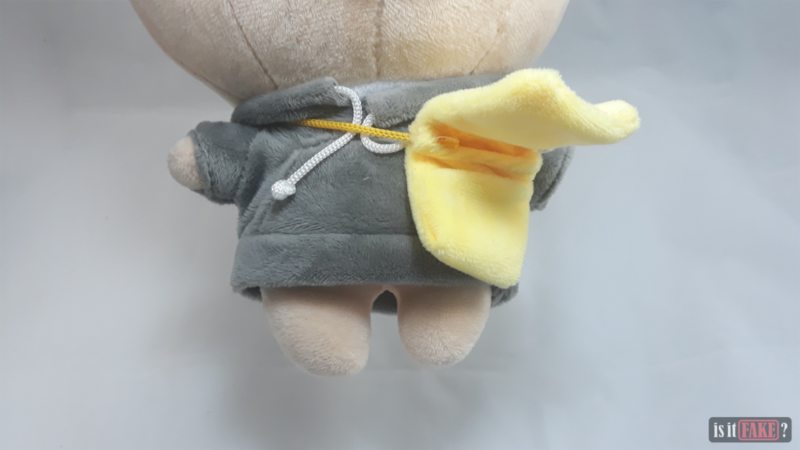 If you ever find it difficult to look for K-drama plushes, you might find our guide in shopping K-drama plushies helpful. Visit our GET-DRAMAS page for the latest, and high quality VODs!